Imagine this, you’re at work, you’re done for the day. The next thing you do is, walk to the train station that’s less than 3 minutes of a walk for you. It’s bright and sunny, and you walk through a small park where kids are playing, old women are chatting. You get yourself a good cappuccino, and then head to the train station and wait for a minute before the train arrives You get on the train, find a cozy corner seat (fortunately) while sipping your coffee and reading a book that you’ve been reading for the past few weeks and are interested to know what happens next. You reach your stop in 26 minutes and get off to stroll towards your house while you splurge to get a few flowers for your significant other! Then with a jerk, you open your eyes and you realize your dream is over, and you need to drive through rush hour traffic for half an hour to get to work. I know, it isn’t the best thing to do to shock a reader blatantly. But isn’t this the sad reality of our situation in real life? Why are we busting ourselves on those car seats when public transport and travel in Auckland is so convenient and easy? Most car owners in New Zealand are giving up driving and selling their used cars to car buyers in Auckland..A lot of men and women that have answered surveys have mentioned that giving up driving their cars too much has made them get in better shape. Once they started walking more and driving less, they saw considerable improvement in their immunity. Walking as an activity is being taken up by more and more people, and cars are being used only for convenience. Auckland residents, a few of them, are looking to completely get rid of their cars and vehicles and adapt themselves and their children to public transport. But how are they doing it? The ones who want to sell their old and unwanted cars in Auckland are quickly getting rid of their vehicles with the help of a car removal company! They’re helping car owners get rid of their old, junk vehicles and start afresh by doing all of the work that is required to be done for the removal of the cars. The company has been offering a free car valuation to each customer that they get along with a free pickup of these unwanted vehicles. They are not just picking up cars, but also vans, trucks, utes, SUVs, minivans and 4WDs. So who is the mastermind behind this mystery service? It’s Auckland Car Buyers. A car removal company and professional car buying service that has made sure that Auckland remains the beautiful city it is by staying free of scrap vehicles. They tow away vehicles for free and later use them for scrap metal recycling. They are one of the first services of its type that came up in the city of Auckland years ago. Their focus is on keeping the city clean while getting cars for themselves to recycle. They also offer top cash quotes and pay instant cash for unwanted vehicles in Auckland. A lot of other cities are trying to follow this unique trend and upgrade their public transport system in order to be able to implement this transformation to public transport. If you are planning to get rid of your car, you should get in touch with a reliable car removal company in your city that will pay you a good amount of cash for your vehicle. 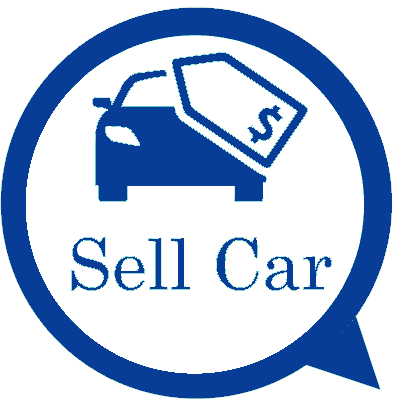 Sell Your Damaged Car for Cash or Fix It? Which Is the Best Option?